It would be hard to find a car in history that was mass-produced for a shorter time than this Opel. And this very car has its own story, too; it belonged to Sepp Herberger. At first I feel a bit uncomfortable in the seat. After all, a famous rump slid around on the synthetic fabric for many years. That rump belonged to a man who was as well known to the world in the 50's as Mark Zuckerberg, the founder of Facebook is today. See, this guy was the legendary coach who took the German football team to world championship in 1954. A football coach as a star then, a computer programmer today – times really do change. 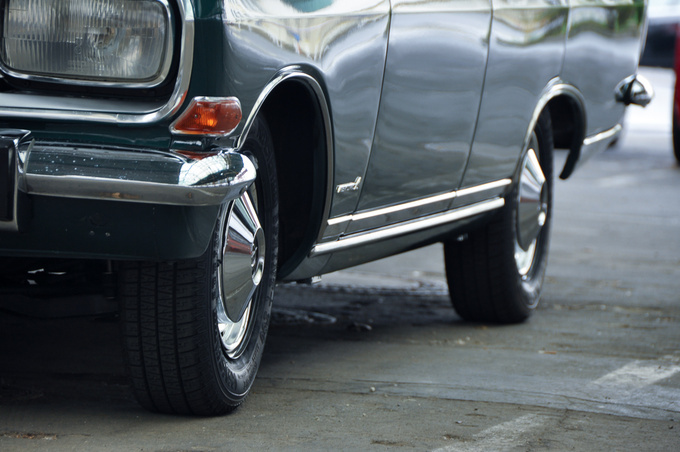 When Herberger received this car in 1966, square headlights, front brake disks and the CIH engine were the hype; today it is the road sign recognition system, 3D navigation and the massage seats that count. 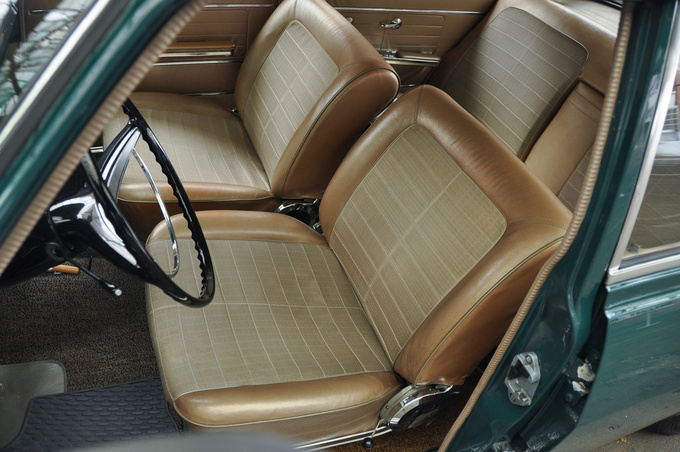 Herberger first turned the ignition key of this car 48 years ago. By that time he had already retired from coaching, his successor having taken his place three years earlier. I truly wish that he died in 1977 with a memory of a good and complete life and I really hope that at least a small slice of this satisfaction came from having had a really fine car like this Rekord. It could be said that Opel scraped this model together in vain when they found that a new body cannot be made ready by the time the new CIH engine was to be introduced. You could also argue that the basics of the car in the pictures are rooted in the 50's, so where's the hype? And it is also possible that if you ask a group of car freaks 99 out of a 100 will remember the Rekord C or D, the P1 “Panorama” Rekord, the GT, the Manta, the Ascona B-series, the Commodore, the Calibra, even the Diplomat or the Kapitän sooner than this one. But I'd like to have this car more than any the others listed above. If there is one classic car with a soothing demeanor that is at the same time good to drive either fast or slow, which is archaic enough to be a real sensation after modern cars, which has its own thick aura, then this is the one. All classic car fans arrive to the question sooner or later: what is there to be liked about these old, clumsy things that often become a pain to own, let alone use? And if one cannot cling on to some childhood memory when giving an answer to the above question, an unsure clearing of throats is due to happen. “Well, because it is suited for do-it-yourself repairs,” one might say. “Because it, um, has a nice shape,” mumbles another. “And, er... my friends think it's cool,” figure those who care only about looks. There could be a thousand reasons but I'll tell you, none of them is right. So I'll try to help. What we really like in classic cars is that they are all fallible. They are like us in that they cannot do most of the things properly that are asked from them. But the better ones at least try. We also like these cars because they get sick, they stumble and fall and pee under themselves at times. The classic car you love is a poodle with a dislocated hip. You can take it for a walk in the park and lots of onlookers with push-up bras come over and ask if it's okay to pat the cute little doggy and then you say “of course” and then at last you get the chance to look deep into the abyss of those push-up bras from near. And if that blasted hip is dislocated you can flick the fag to the corner of your mouth – Marlon Brando-style – and relocate the joint with a well-practiced twist. Awe, smiles, more flicking of push-up bras – life is beautiful. 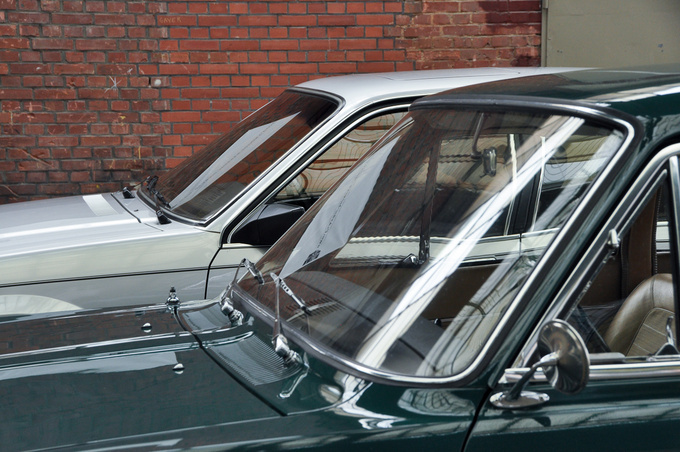 We tend to love a classic car even more if, apart from its fallibility, there are high points coming with its usage. 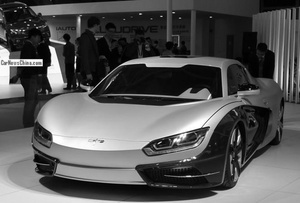 This can be anything – the way it glides over bumps, the masculine rawness of its operation, the sound it makes. But of course it shouldn't break down too often, because it might be good to look cool in the eyes of push-up bra-beholders, but it's not nearly as nice to be called a loser by the same people. Thus, having set the foundation of a brilliant classic car evaluation system I am prepared to say it outright: the Rekord B is perfect for the enthusiast, especially at this trim level and with this engine. Opel knew that this model was destined for junk from the beginning. By the middle of the 60's it was perfectly clear for the decision makers in Rüsselsheim that the weak, noisy engine family they had used in the Rekord lineup, with its push-rod design dating back to the 30's is long in the tooth. Hence a new family of engines was developed called CIH, that is: Cam-In-Head. This strange hybrid of a valve management meant that it was neither an OHV, nor an OHC design; the valves were still operated by short, fat push-rods but the camshaft was relocated from the side of the engine up, into the cylinder head approximately in line with the combustion chambers. Was there a real need for this car? 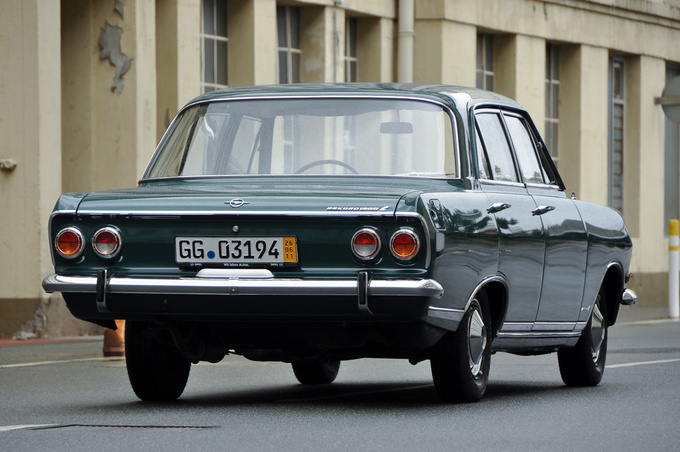 Opel wanted to replace its obsolete Rekord A in 1965 but bad timing meant that only the guys in the engine department were ready with the new motor, the rest were a bit, erm, tardy. At the wink of an eye the CIH engine was due for production and there was no new model to put it into. 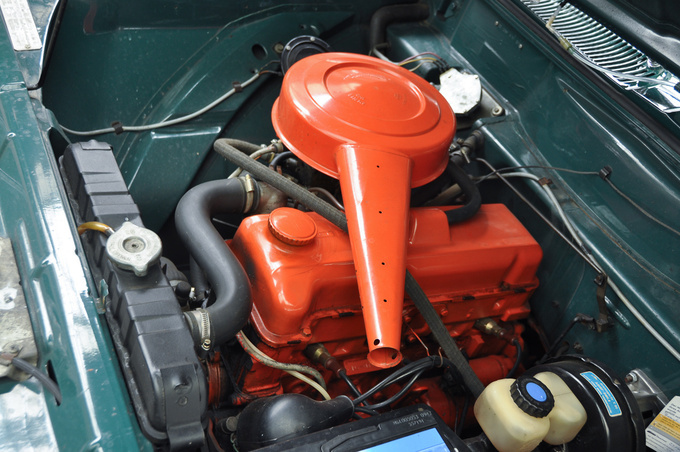 This is how the Rekord B was born – a car that was a Rekord A to the last bolt, apart from the engine. To give some new life to the dated underpinnings of the car it received the front disk brakes that could only be ordered for the six-cylinder variants of the Rekord A series before. 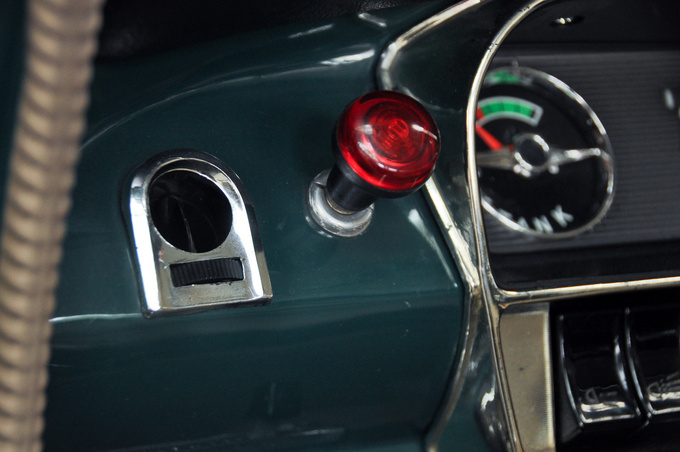 The body designers already knew what the Rekord C would look like at the time, so they copied some of the features of the coming car to this interim model; these were the striking rectangular front lights, the chrome strips decorating the panels, the new hubcaps. A new small coupe was already on the drawing board at the time so the Rekord B got double round rear lamps in the style of the forthcoming Opel GT. 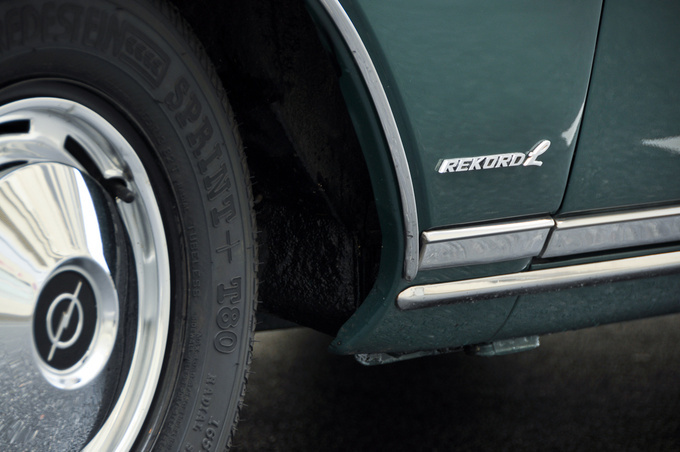 The Rekord C was ready for production only a year later. Opel used the annual one month production pause in August for retooling. 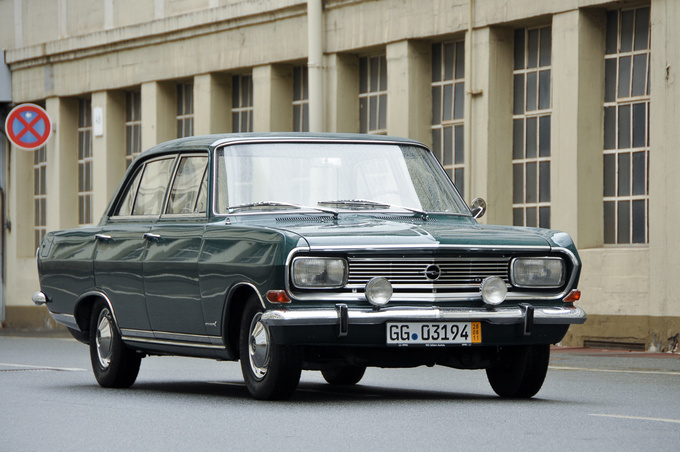 Thus the B-series was made in a number of 300,000 units from August 1965 to July 1966, which means that with these 11 months production it the shortest lived Opel in history. The advantage of the CIH arrangement was that the engine didn't have to grow in height (this always presented a problem with OHC engines) but because of the short push-rods there wasn't much dead weight moving up and down, thus maximum revolutions could be raised leading to higher power output. And there was one more reason: Opel's engineers could finally try out their newest baby, the self-adjusting hydraulic tappets. 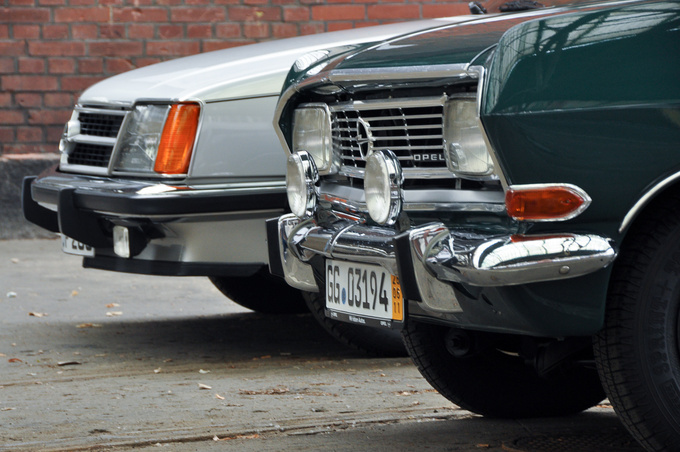 The CIH engine family set out on an enduring success; it was put into Opel cars for 20 years. Race-tuned variants of this engine revved to 10,000rpm, the civilian versions were all noted for their smoothness, low consumption, good size/performance ratio, longevity. Still, the B-series Rekord like the tested car here, wasn't a thoroughly designed car that had been tested for millions of kilometres before customers were let loose behind its wheel – it was just hacked together in haste. Its predecessors, the tall P1 Rekord that looked like a 50's Chevy that shrunk in the washing machine in all the wrong directions, the slightly less ancient P2, the smooth-flanked, low Rekord A were all honest, well-executed cars in their own time but they all missed one thing – a proper engine. One wouldn't venture on the motorway with a car like one of those nowadays because 18-wheelers will just sweep it clean off the tarmac without their drivers ever noticing. They are dangerously slow, disturbingly noisy at any speed exceeding that of deserted country lane cruising. But the Rekord B, which wasn't much more than an A with a heart replacement, turned out to be a jolly good car for 1965. The B was a big step forward from the earlier models on the back of its engine only. So, why is it better than its successor, a car that everybody loves, the Rekord C. That one is a truly fine automobile, sleek, chic, well-finished, its stronger versions don't disappoint even today, even on the motorway. But the Rekord C isn't fallible enough to be looked upon as a real classic car. It is just too easy, too ergonomic, too smooth for the classic car enthusiast trying to break free from the pampering boredom of an NVH-dictated soapbox of 2014. It is not the car a bloke would have who has a poodle with a dislocated hip. 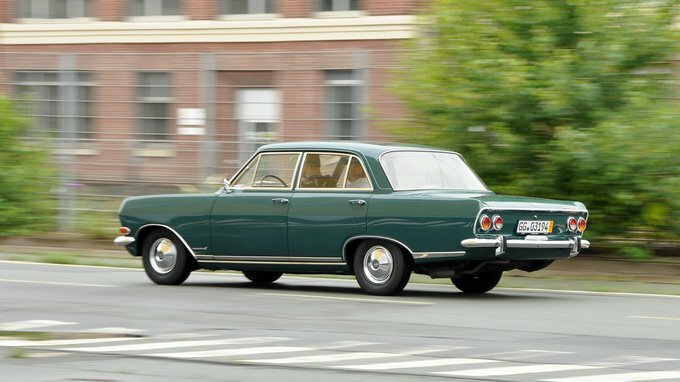 But an angry-green Opel Rekord with a bronze-coloured sky and synthetic fabric combination interior, a steel sunroof, a Becker Mexico radio in its dash and a 1.9-litre CIH engine that makes it capable of reaching 160kph would be more of his choice. 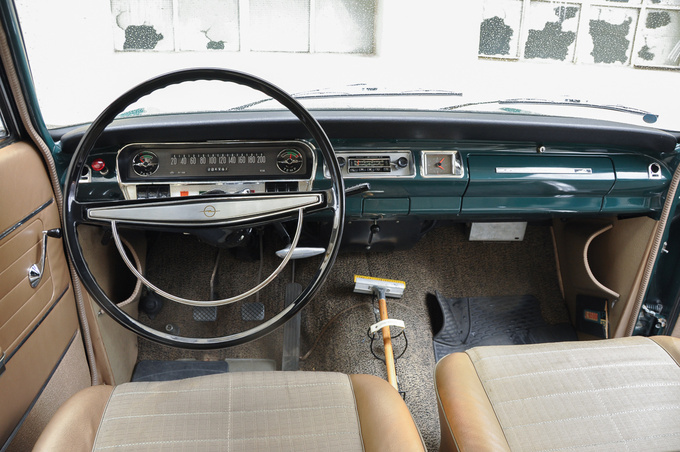 That is until you take notice of the sheet metal dashboard painted in the colour of the car, the strip speedo, its column stick and the narrow tread of its wheels – what is this, the car of Doris Day? It depends on where you look from. This Opel is the perfect amalgam of the 50's and the 70's; it looks and has solutions like something from almost a decade earlier but goes and stops like a car from the ABBA era. What if you get a chance to drive a low-mileage Rekord B that has just been just lifted from Opel's secret classic car collection? You should bloody well grab the chance by the neck and not let go. This is exactly what I did. 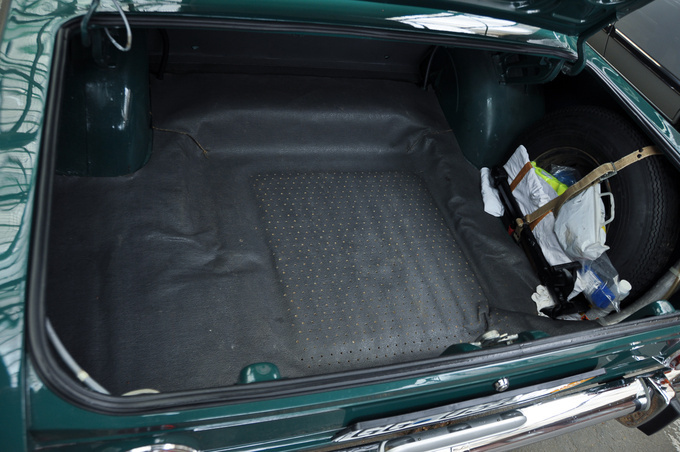 This car is barely run in at 75,000kms, its original service booklet is sticking out from the pouch in the side of the front passenger legroom. It lists all the repairs carried out in the last 48 years. There aren't too many entries to be found in it, mind you. My mouth is dry with anticipation as I grab the ignition key that the great Herberger must have fondled a lot with. I give it a twist and after two turns of the crankshaft, the 1.9 litres of Rüsselsheim steel and aluminium burst into life. The engine is softly purring as oil runs around its channels. 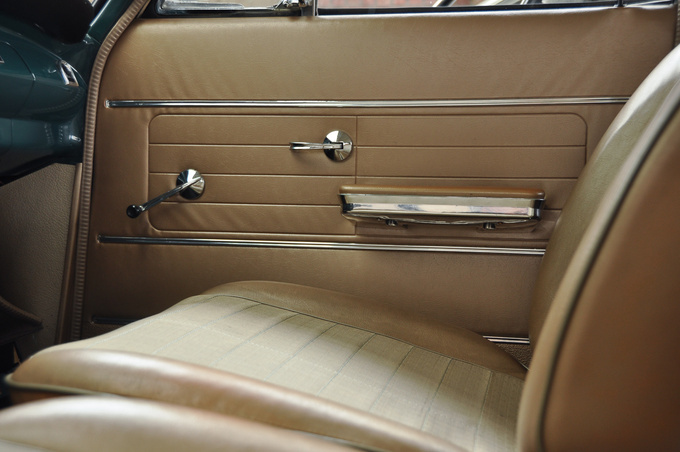 I adjust the armchair-like seat to my size, slide the huge steel roof back, wind down the window and click the column shift into first. Having driven quite a few cars with similar gearsticks I can only admire Opel's smoothly and precisely operating shifter – for example Mercedes has never managed to reach such heights in this area. Many more shifts followed that first one because I used the Rekord for the next two full days ferrying between Rüsselsheim and Frankfurt. The Rekord felt like a well-fitting old glove at the first moment but it got even better with the hour. I really had a feeling of regret when I had to hand it back to its custodians on a Sunday afternoon. And it hurt to think that I'm busily renewing a Ponton Mercedes 180 at home, in Hungary for almost double the value of a car like this Opel. It is because this car does so much so well and asks so little in exchange. Its engine starts pulling way down low but easily revs to 5500 and doesn't complain there. All the while it feels properly strong, average cars of today have a hard job at overtaking it and this is a feat for something almost fifty years old. To compliment all this it can even stop from those pretty high speeds which is no wonder, because it has got a servo-ed dual-circuit brake system with disks up front. The car is totally motorway-compliant as it is. 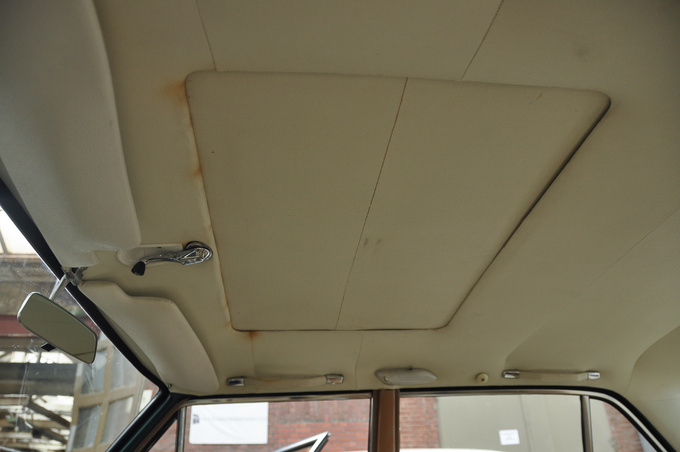 For a user who is a novice to classic cars its steering might be the strangest thing to get accustomed to; there is a recirculating ball Burman box at the mechanical end, and its ratio is very short, leading to lots of arm twirling in tight corners. But given its age even this is a perfectly executed point, the wheel is informative while being able to filter most of the kickback from irregularities of the road. Of course the suspension is soft, in fast corners the whole thing rolls like a Roman galleon in stormy weather and when you accelerate its rear end squats like the aforementioned dog relieving itself in the park. All of this is enticing, even alarming at first but after getting accustomed to the car's behavior, it all becomes part of the fun. And you relish in selecting a new gear every time you touch the column stick, all the sweet smells of the forest come flowing through the huge roof while you're threading the car around the county road's bends, the engine massages your ears with its fine, deep CIH thrum. Among the Volkswagen Beetles and the similarly snail-slow Fintail Mercedes diesel taxis there couldn't have been a much better place to be in 1966 than behind the wheel of this well-disguised hot rod from Rüsselsheim. It may be fallible from certain aspects but it can still keep its head up in modern traffic – this one's an understated dream classic. The best part is that is also dirt cheap because it tends to be confused with the enervated Rekord A and it goes unnoticed whenever there's a Rekord C in sight. Keep it like that and I'll soon have one.